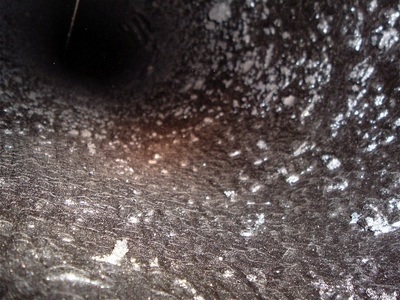 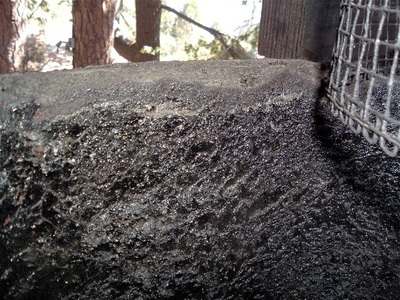 Chimney Sweep Dirty Chimney Photos - Sweep&apos;s Luck - Chimney, Dryer Vent and Air Duct Cleaning company serving San Diego and Lake Arrowhead. 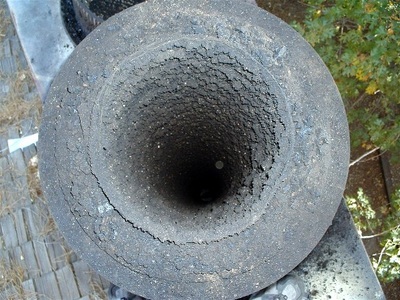 Chimneys get dirty and lined with soot and ash over time. 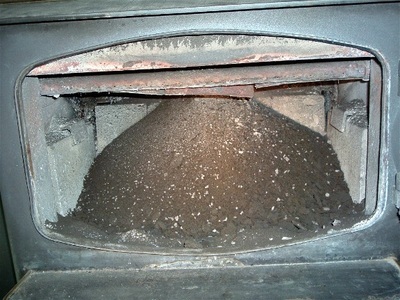 Depending on the wood you burn, creosote can line chimneys as well. 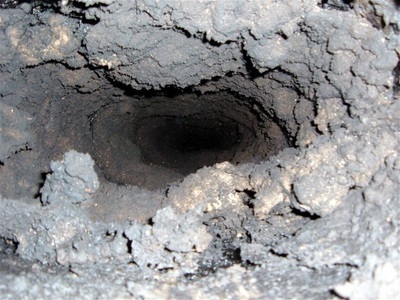 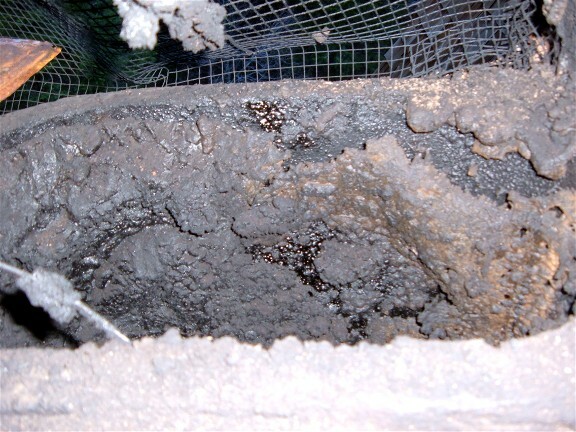 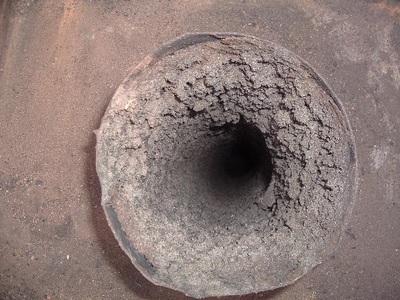 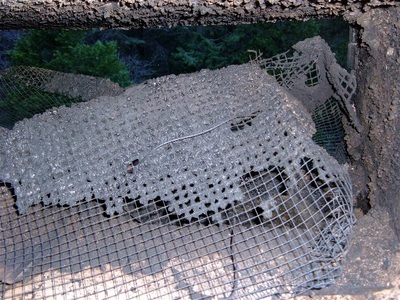 As this buildup grows, the efficiency of your chimney declines and it can even become a fire hazard. These are some photos of exceptional chimney buildup we have seen. 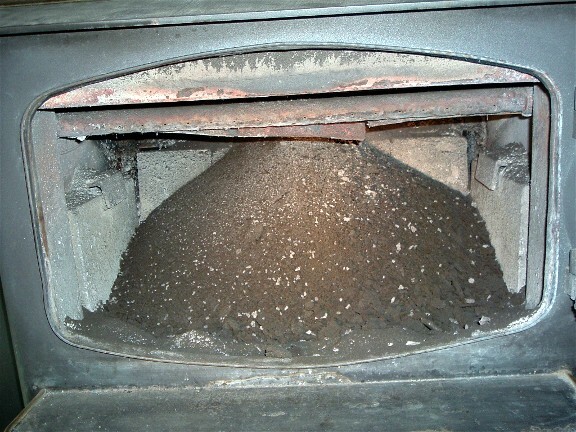 Fireplaces like this are dangerous. Make sure your chimney doesn’t get this clogged and call Sweeps Luck Chimney Sweep so we can maintain your chimney in its optimum condition. A clean chimney is a happy chimney.